Most of us have become so reliant on our mobile phones, that our day seems to be incomplete without using it. The mobile phone has become the primary channel through which we can communicate with each other. People don’t want to get charged high for using services provided by their telecom company. They want to text, make calls and to access the internet without breaking their budget. Getting maximum benefits at minimum cost is the desire of every one of us. When it comes to making a call to someone, people always choose a package with low rates. 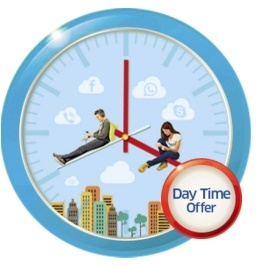 With Zong weekly unlimited package you can have endless talk time for an entire week at just Rs 63+ tax. To make the unlimited call or to send many messages for 7 days you can quickly get the weekly unlimited offer by sending “PK7” to 522 from your Zong prepaid connection. You will shortly receive a confirmation message regarding successful activation. You will be provided with unlimited Zong to Zong minutes so that you can remain connected with your on-net friends. Zong is giving you an additional incentive of 150 SMS per days. Zong weekly unlimited offer comes up with the validity of 7 seven days. Only prepaid users of Zong will be able to avail this offer. Calls to other networks or international numbers will be charged as default rates. Offer is auto recursive; it will renew at midnight of the seventh day of the week if you have the balance of Rs 63 + tax. 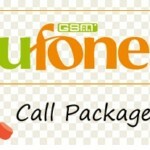 Call setup charges of Rs 0.15 + tax per call will apply. Allocated minutes are only from Zong to Zong. FED tax will apply according to your region. On recharge and bill, advance telecom tax of 12.5 % will apply. The offer will expire on the seventh day of subscription in case of insufficient balance, or you can deactivate the offer by typing “Unsub” and send it to 522. Calls are the part of our daily routine, and now you can make unlimited calls to any Zong number without getting stress about high calling rates then the Zong Weekly unlimited offer is the best to answer to all your needs.